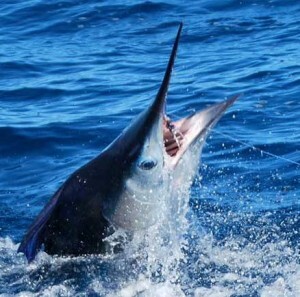 Costa Rica – Fishermen of all sorts flock to Costa Rica. They come for bachelor parties, alone time out on the lake, and deep sea fishing with new friends. Because of the varying climates in this country you can find many types of fish. You may choose to fish in one of the lakes or on either coast. Off the Caribbean coast is a remote place called Barra del Colorado accessible by plane only where you can catch tarpons, barracudas, mackerels, and pikes. Areas like Golfito or Manuel Antonio offer many tour companies which will help you explore the Central and South Pacific. In the Nicoya area you will find the best chance of joining locals for a low price. Lastly, Arenal and Cachi are lakes for trout fishing. The seas are the most flat and least windy in the Guanacaste area. Here you can catch Blue Marlin, Roosterfish, Snapper, Cubera, and Grouper. Sailfish and Marlin are found year round while if you are looking to catch Billfish you should come between December and April. Billfish are protected by law but you can take home a Dorado, Tuna, or Snapper. Most hotels have tour desks which can connect you with a group to go deep sea fishing. It has been reported that you can catch up to ten large (10 foot!) 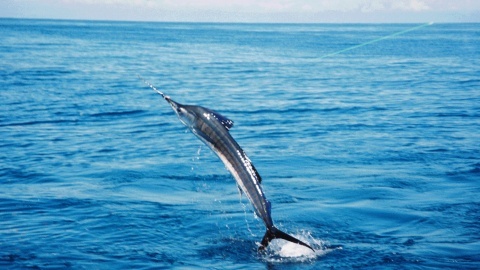 Sailfish in a single day! If you think you can do better you may want to try your skills in the tournament held each February! If you are looking for some sport fishing discounts in Costa Rica check out the below savings. Just remember to remove all your stuff from the vehicle and take it on the boat with you. If you have a motorcycle, better put that in the boat too !